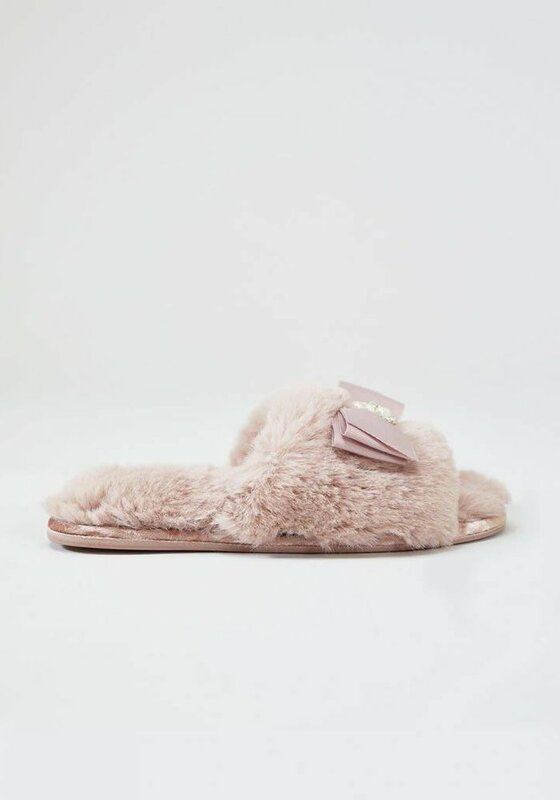 Fit for a princess, Anya is a Pretty You favorite. 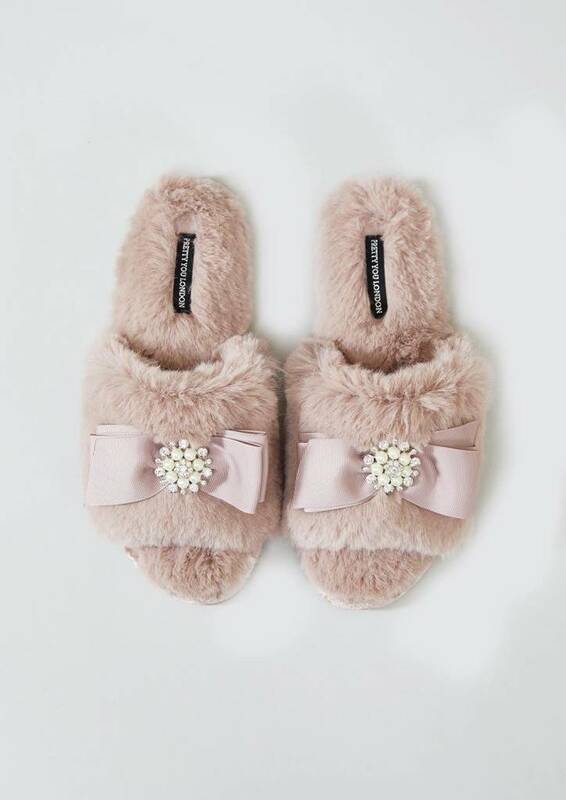 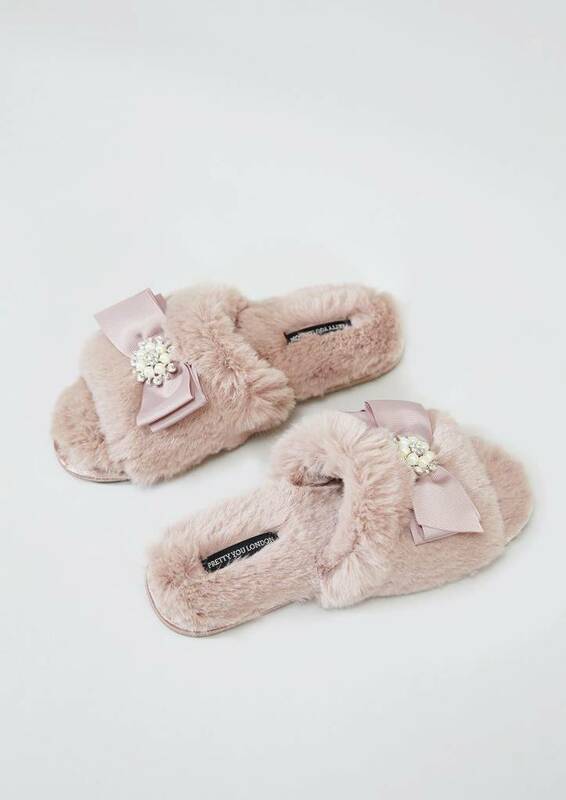 This faux-fur one band, complete with jewel and pearl embellished grosgrain bow and metallic piping, features our signature non-slip soles and extra in-sole padding. A classic that looks as good as it feels.